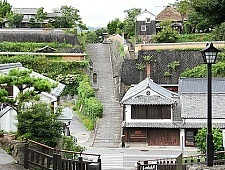 and his retainers, the samurai, lived in the districts surrounding the castle. elaborate residences with earthen walls and elegant homes. 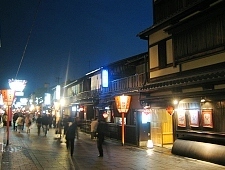 Among the best preserved former samurai districts are the ones of Kakunodate, Hagi and Kanazawa. A few lanes, lined by the white walls and wooden gates of former samurai mansions are beautifully preserved in the Jokamachi district of Hagi today. Some houses are open to the public. 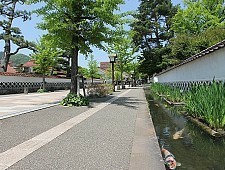 A beautifully preserved samurai district with several former samuraimansions open to the public. Kakunodate’s samurai district is famous for its many weeping cherry trees. 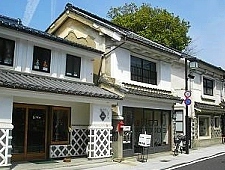 Narrow lanes and old mansions are preserved in Nagamachi, Kanazawa’s former samurai district. 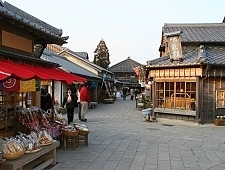 Kanazawa used to be the capital of the Edo Period‘s second wealthiest feudal domain. 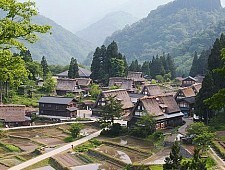 Kitsuki is unique for having two samurai districts on hills sandwiching a merchant district in the valley in between. 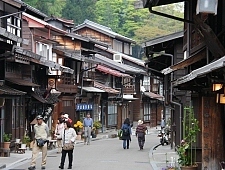 They are among the most pleasantly preserved samurai districts in Japan. 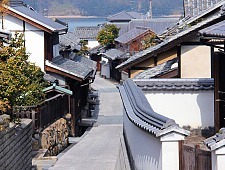 The highlight of Tsuwano‘s old town is the Tonomachi district where one street block of the former samurai district is particularly nicely preserved with earthen walls, historic buildings and a water canal filled with carps. 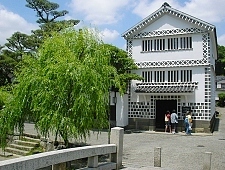 Some of Matsue’s former samurai mansions have been preserved along the busy road north of Matsue Castle. Among them is the former residence of Lafcadio Hearn. 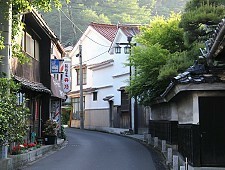 The preserved area of Usuki’s samurai district is small but photogenic. Referred to as Nioza Historical Road, it is about 200 meters long. districts are Takayama and Kurashiki. 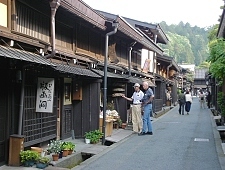 The narrow streets in Takayama’s old town are lined by traditional buildings, shops and sake breweries. A few former merchant homes are open to the public. Numerous warehouses are preserved along a willow lined canal. Many of the warehouses have been converted into museums, souvenir stores, boutiques and cafes. 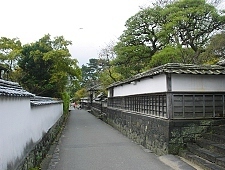 A 600 meter long street lined by preserved buildings from the era when the small town of Uchiko on Shikoku gained international fame and wealth as wax producer. 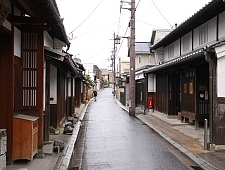 Rather than just a district, Imaicho is a whole town whose machiya town house lined streets have been preserved. A couple of merchant houses are open for tourists to enter. 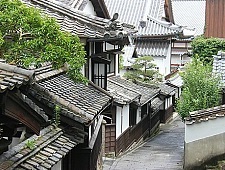 Naramachi is the former merchant district of Nara, where several traditional warehouses and residential buildings have survived. One old residence is open to the public for free. 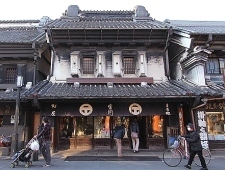 More than a dozen massive warehouses, reminiscent of the Edo Period, are preserved along Kawagoe’s main street. Many of them are now housing stores and restaurants. A former transport hub for rice shipments into the capital, Sawara’s historic center lies along a canal lined by a few preserved and restored traditional residences, merchant shops and warehouses from the Edo Period. Nakamachi-dori is a street lined by several nicely preserved, old buildings, including a number of warehouses. Some of them house small shops, restaurants and ryokan. 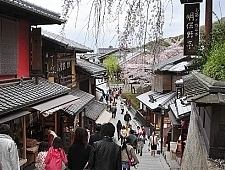 Gion’s Hanami-koji Street is lined by beautiful old buildings, tea houses and restaurants. In the evenings, you may be able to spot a geisha apprentice. 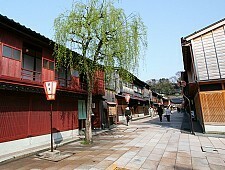 Kanazawa has multiple geisha districts with several old tea houses, where geisha are still performing at banquets today. Two tea houses are open to the public. 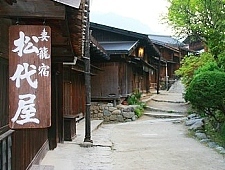 A beautifully preserved post town along the old Nakasendo with most of the town’s buildings dating back to the Edo Period, when they served as lodgings and restaurants. Another nicely preserved post town, about 10 kilometers south of Tsumago along the old Nakasendo. The two towns are connected by a nice hiking trail. 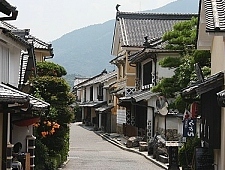 Ouchijuku is a post town along the Aizu-Nishi Kaido trade route, which connected Aizu with Nikko during the Edo Period. It is located about 20 kilometers south of Aizu. 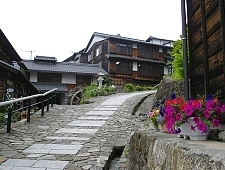 The wealthiest former post town in the Kiso Valley, Narai stretches over a whole kilometer. Unfortunately, vehicular traffic is not banned along the street. providing visitors with lodgings, food and souvenirs. The narrow streets ascending the slopes to Kiyomizudera, one of Kyoto‘s most popular temples, are lined by many old buildings, shops and restaurants. 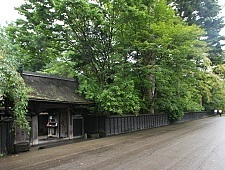 Oharaimachi is the old street leading to the Inner Shrine of Ise. 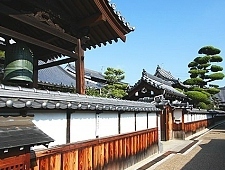 It is lined by many Edo Period style buildings, some of which are originals while others are reconstructions. preserved an appearance of past centuries. 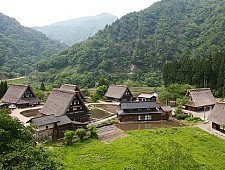 The largest village in the mountainous Shirakawa-go region of Gifu refecture, Ogimachi preserves many massive gassho-zukuri farm houses in its village center and an adjacent open-air museum. The best way to experience the village is to overnight at one of the farm houses. 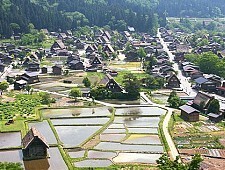 Ainokura is a remote small village in Gokayama with several gassho-zukuri farm houses. 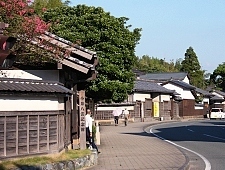 Some of the houses serve as minshuku where tourists can experience an overnight stay. 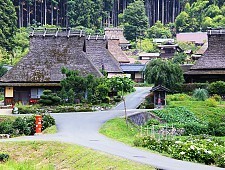 Suganuma Village is a small collection of gassho-zukuri farm houses in the remote Gokayama region of Toyama Prefecture. Miyama is a rural town in the mountains north of Kyoto. It features over two hundred thatched roof houses scattered across its idyllic countryside. 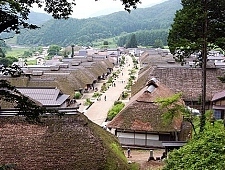 Miyama’s Kayabuki no Sato village records the highest percentage of thatched roof buildings of any town in Japan. centuries. Over time, some grew into large cities with major international ports, such as Yokohama or Kobe, while others remained remote, small fishing villages. A few of them have preserved an atmosphere of bygone times. Tomonoura is a picturesque port town situated at a bay in Hiroshima Prefecture facing the Seto Inland Sea. 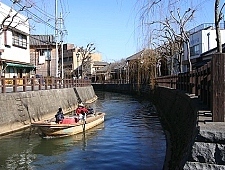 It features an endearing fishing townscape and an old town center of many photogenic alleys lined by rustic old houses. In the past, merchant ships traveling along the Seto Inland Sea would dock at Tomonoura while waiting for a favorable tide. 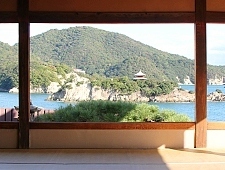 Kasashima Town on Honjima Island in the Seto Inland Sea preserves several buildings from the Edo Period. Honjima’s former inhabitants controlled trade traffic across the Seto Inland Sea from the strategically well situated island. Yunotsu is now a pleasantly old-fashioned hot spring town along the calm Sea of Japan coast. A few centuries ago the town’s port saw large amounts of silver from the nearby Iwami Ginzan silver mines shipped out. Ryukyuan culture is proudly surviving today and has become one of Okinawa’s main tourist attractions. 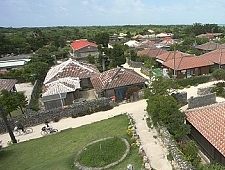 The small village consists almost entirely of traditional style, one-storied houses with red tiled roofs, stone walls, ample of lion like shiza statues and white sand roads.